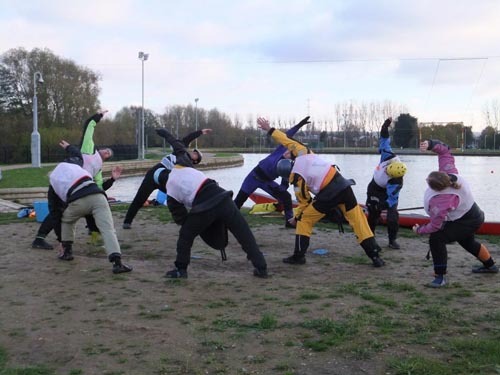 After the Storm Gathering, Mark and I made our way to the Lee Valley White Water Centre, to run rolling classes for Kayak London. 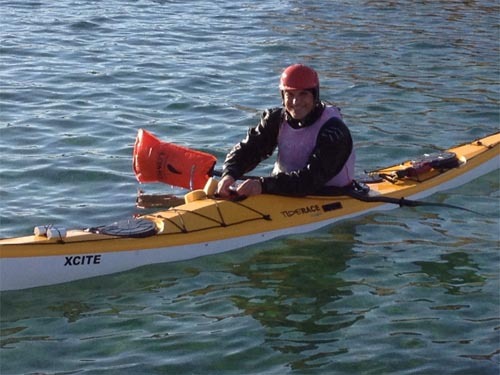 This was our second year running classes there, and it was great to see some returning participants. 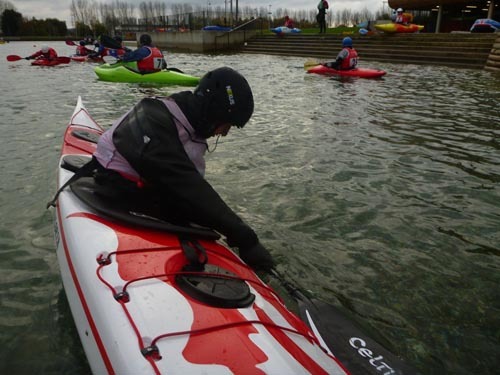 Everyone braved the icy cold water, but other than the cold, it was tons of fun. 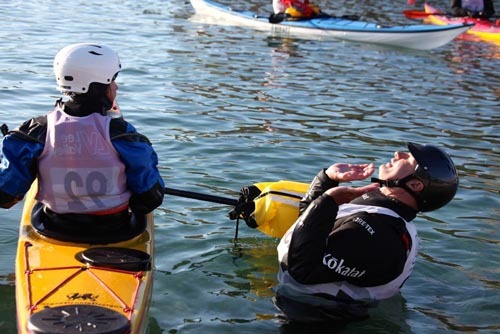 The white water part of the 2012 Olympics took place there, which makes it feel like somewhat of a novelty. 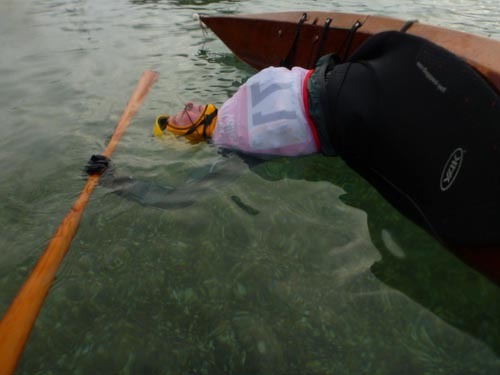 Our classes ran in the incredibly clear pool that the white water courses drop into. Thanks to Mattias Altin for hosting us! 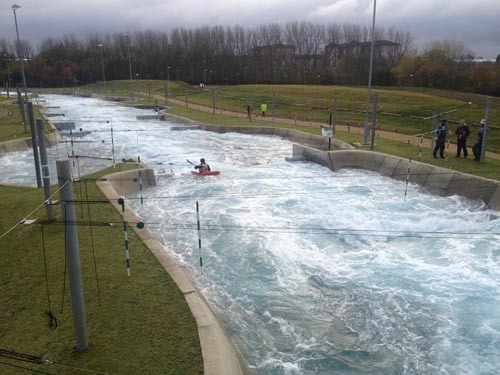 The Lee Valley White Water Centre. Yoga is a great way to warm up. Smiles are important while learning to roll. A good set up is key. 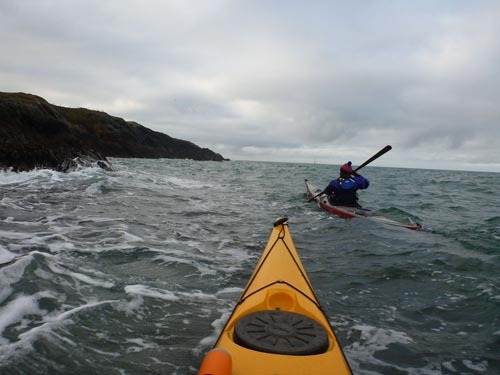 After the weekend at the Lee Valley White Water Centre, we headed to Anglesey, Wales for a few days of rest, relaxation and preparation for the following weekend. 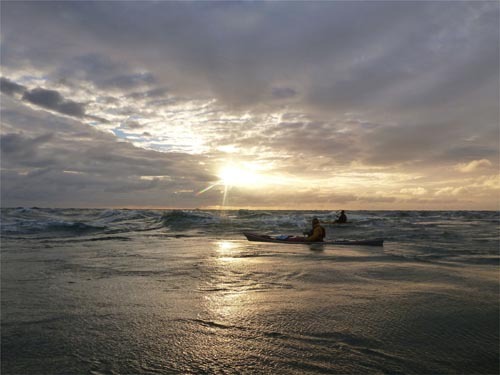 We celebrated the U.S. Thanksgiving while we were there by going for a paddle and then to dinner. 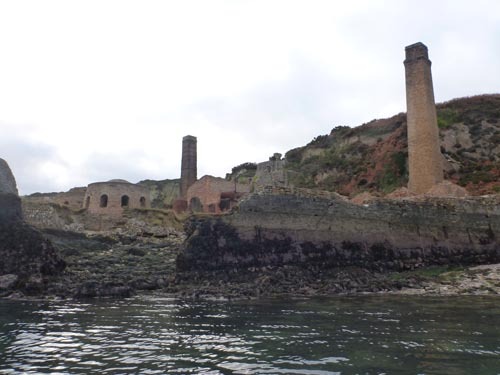 We paddled to Porth Wen, and made our way around the stunning headlands to the old brickworks. 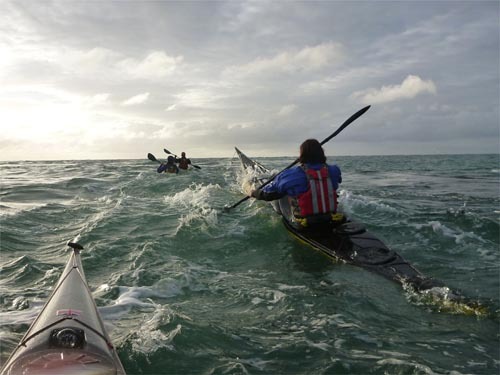 After exploring, we paddled offshore via Middle Mouse and let the current carry us back to the launch site at Bull Bay. 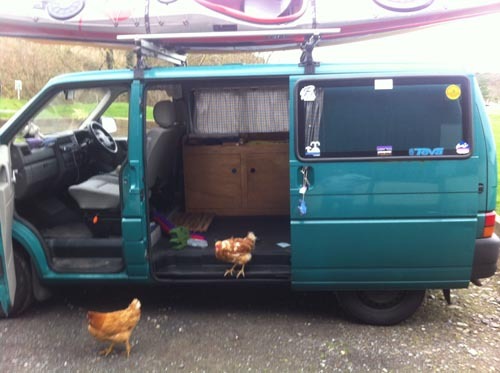 The chickens exploring our van clearly didn’t know we were debating what to have for Thanksgiving dinner. A day off on Anglesey. 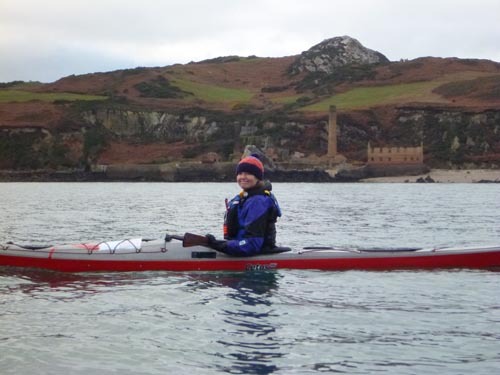 The old brickworks buildings make a great backdrop for an afternoon paddle. Wales is filled with very cool abandoned places to explore. Once all of the play was over, it was back to work, and we hosted a BCU 5 Star Sea Assessment with assessors Nick Cunliffe and Fiona Whitehead. 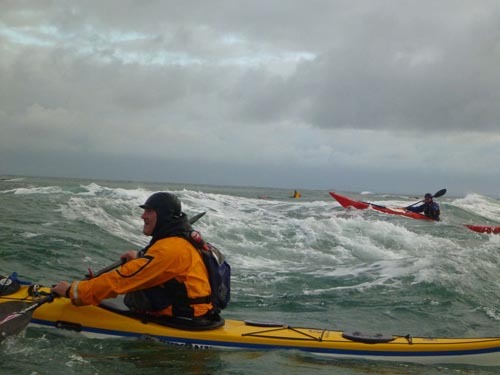 The weather turned out to be just right, with sufficient wind to run the assessment, as well as spring tides. 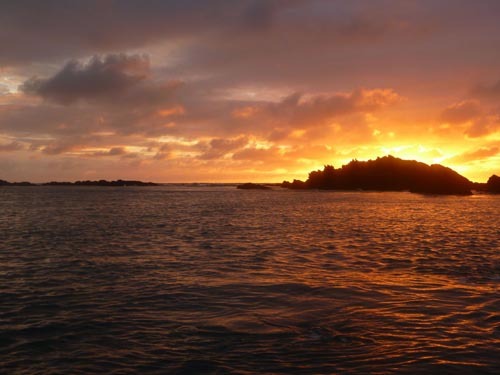 Candidates showed their skills in places such as the Skerries and Penrhyn Mawr, and the assessment included night paddling, which followed a gorgeous sunset. A great day for a 5 Star Sea Assessment. 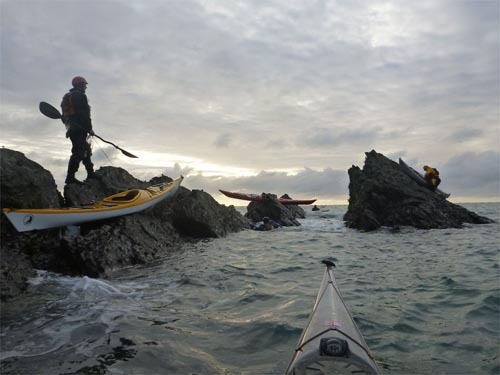 Rocky landings can be fun. A gorgeous day to be on the water. 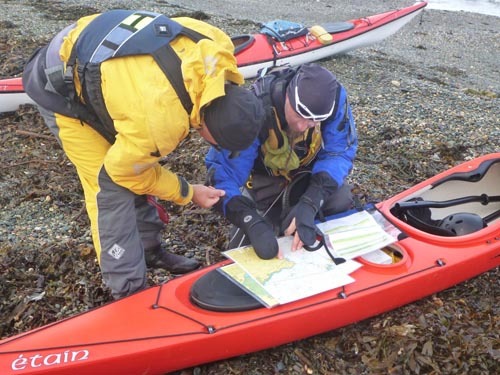 Good planning is very important in a tidal environment. This week I headed back to California, where we have classes scheduled for the next four weekends.